お気に入り styled room from Movie Hangout? お気に入り styled room from Romantic Garden? How would あなた rank the packs? What hairstyles and clothing do あなた suggest they make for sims 4? あなた play as a female sim, 100% your creation, but here's the catch. あなた are living with 7 guys, each one is Required to have the Slob trait. あなた CANNOT control them, other then choosing their jobs. I think that over the years, the Sims has definitely gone through many stages of development and I do credit the creators for trying new things and experimenting, however I’ve seen a lot of rage によって some players about what the game may be lacking and I have been desperate to give my opinion on what the Sims 4 should have to offer. Below is an unsorted 一覧 of things I have thought about being present in the Sims 4.
a comment was made to the poll: Which pack do あなた prefer? 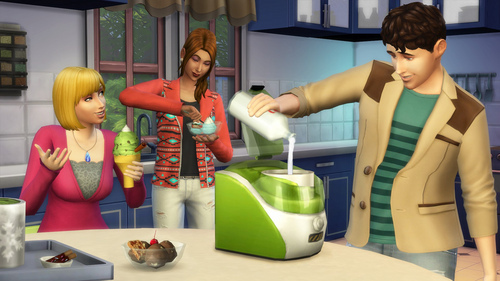 In what pack can あなた find this ice cream maker?